Losing never felt so encouraging. The Rockies were in every game this series and arguably pitched better than the opposing staff overall. This is a big improvement over the April series in Colorado where the Padres blew out the Rockies in a series loss. Double plays, especially in games one and three, eliminated any opportunity for the Rockies to build momentum with their bats. Still, when Tyler Chatwood and Chad Bettis hit the mound, it feels like the team can win any game. Jon Gray looks like he’s on the verge of solidifying this rotation, too, and this is all without Jorge De La Rosa, who was the No. 1 starter going into the season. If De La Rosa can shake his April woes, this rotation doesn’t need to be a liability. All this team needs is the pitching to be at league average. Gonzalez, Arenado, Story and company can take it from there. James Shields pitched a phenomenal game, mostly by keeping his pitch count low through a series of double plays. These twin killings came back to haunt the Rockies throughout the series. Gray arguably pitched a better game than Shields. After a shaky two-run first, Gray retired 16 in a row and had 11 strikeouts. The only Padre not too whiff against Gray was Will Myers, who is having a resurgent 2016. Even though Gray doesn’t have a win in the Majors, there’s no need to fret, Rockies fans. If Gray keeps pitching this way, the wins will come; he’s beginning to look like the pitcher we always hoped he would be. If Jorge De La Rosa was pitching even remotely well last month, we probably wouldn’t see Butler make this start. It’s a shame that he couldn’t get more development down in Albuquerque. With the team stockpiling pitching talent, the move to bring up Butler doesn’t seem necessary. 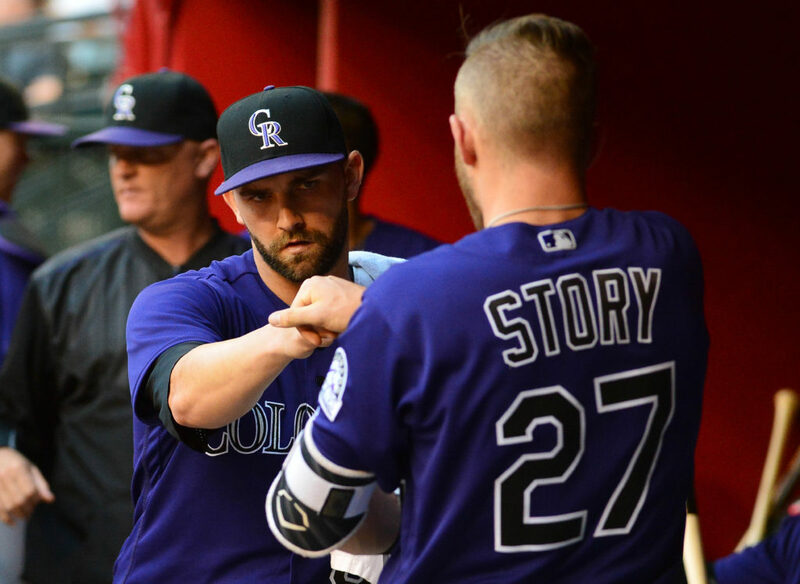 Chris Rusin made a fine spot start against Arizona; jeopardizing Butler’s future for a few starts early in the season is an utter disregard for the future. And it’s not as if Butler’s start reassured anyone that he was ready for Major League action. While he was throwing a no-hitter into the fourth, he gave up back-to-back homeruns in the inning, allowing the Padres to get back into the game. This performance didn’t shake any of the feelings of putting Butler in the bullpen, especially since he had such a quality outing in a relief role against the Pirates, which was his first big league action in 2016. He can be dominant for a short period of time, but once the opposition has a second or third look at him, it’s all down hill. It’s too early to make this bullpen conversion for such a high draft-pick, but if management keeps forcing the issue, Butler may not have a choice. Chatwood lowered his road ERA to .32 in this game. His overall ERA is 2.15. By going 24 2/3 innings scoreless on the road, it may not be premature to say that Chatwood has asserted himself as the Ace of this staff. More consistent starts at home will assuredly leap frog him over Rusin. It seems like nit picking at this point, but arguments over good pitching are always welcomed with this team.